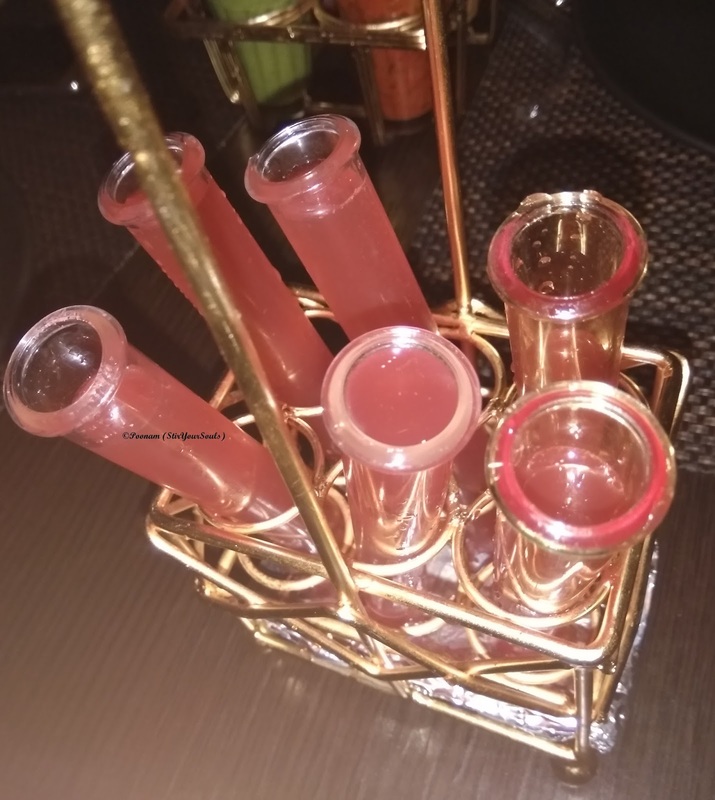 Molecular Gastronomy is the newest entrant on the food block and has quickly caught up pace as a modern take on classic dishes such that it enhances their presentation and adds an aesthetic appeal. 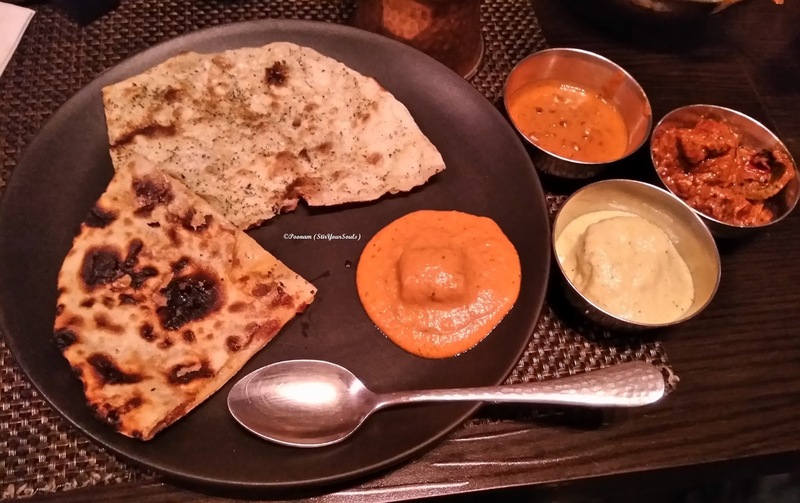 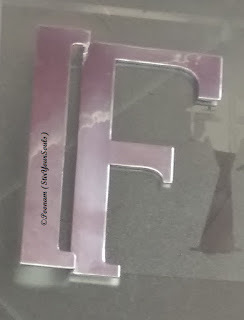 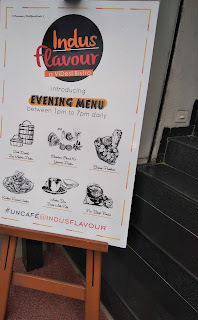 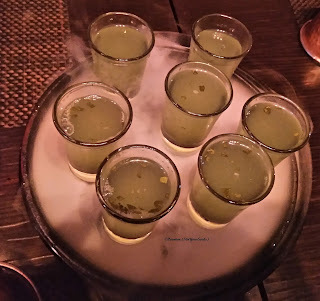 Recently, I had a second chance for my tryst with Molecular Gastronomy (after the one with The Addam's House) in the form of a Blogger's Luncheon at Indus Flavour, situated in Hudson Lane. 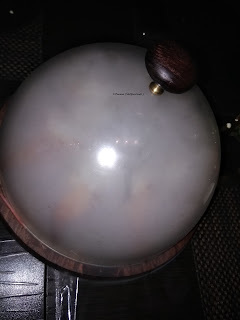 It is presented as a Bistro Cafe with a Videsi touch, additionally appealing to the Vegetarian's palate. 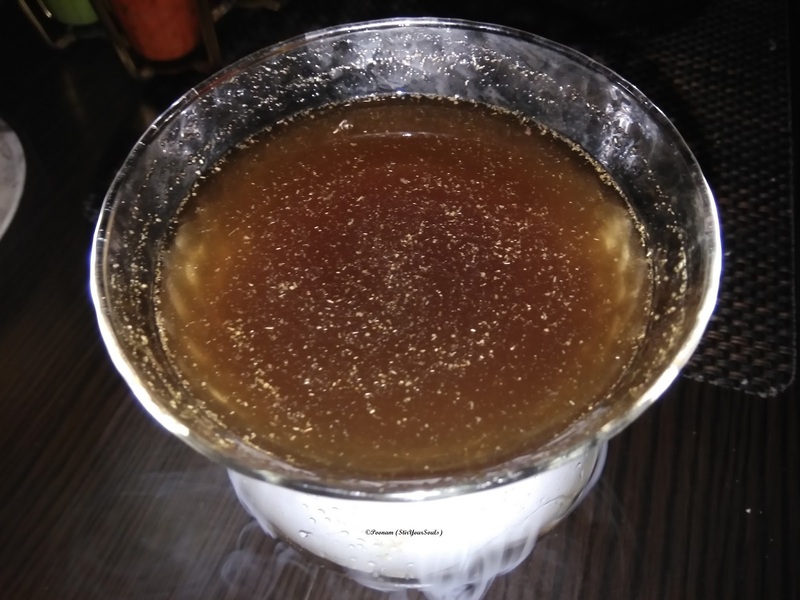 Being situated in a student's hub of sorts, it is quite an appealing place, though space crunch may affect the vibe in the event of a houseful situation. 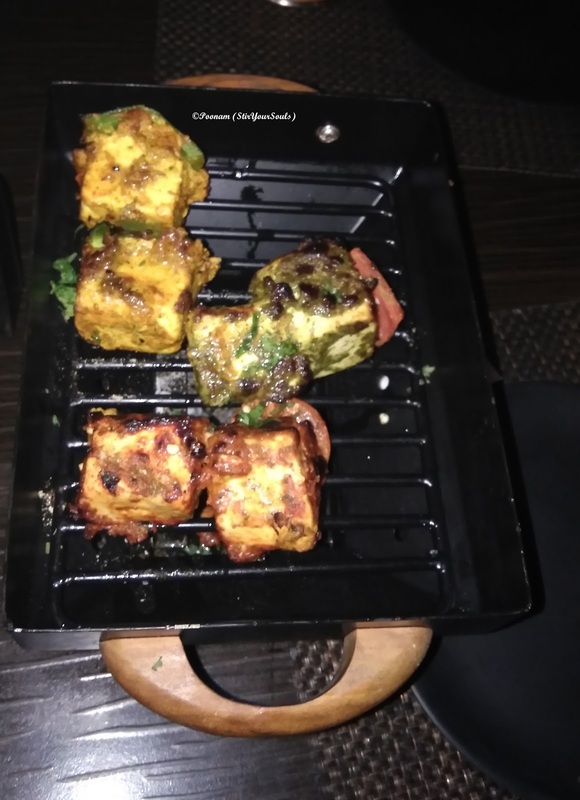 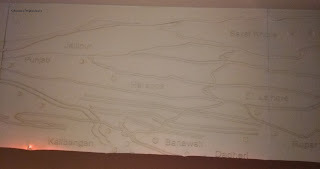 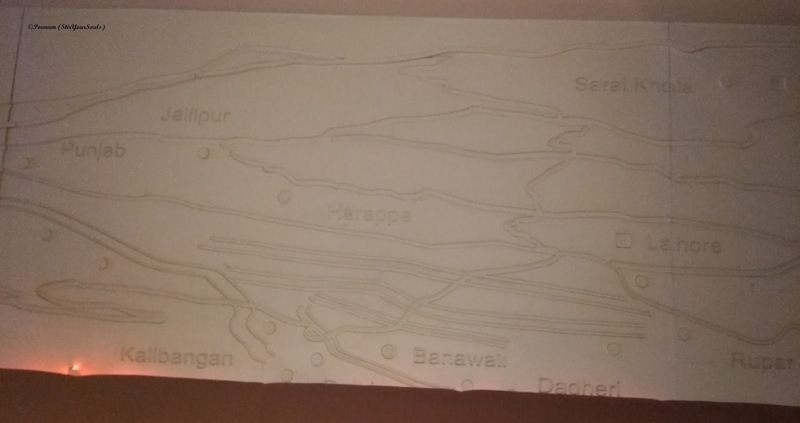 The presentation and taste of their dishes is what works highly in Indus Flavour's favor along with the fact that their decor is inspired from Indus Valley Civilization. Also, their concept of an amuse bouche in the form of Pulse Candy Shots served on a bed of fuming nitrogen to begin the meal and a palate cleanser served in test tubes right before Mains. 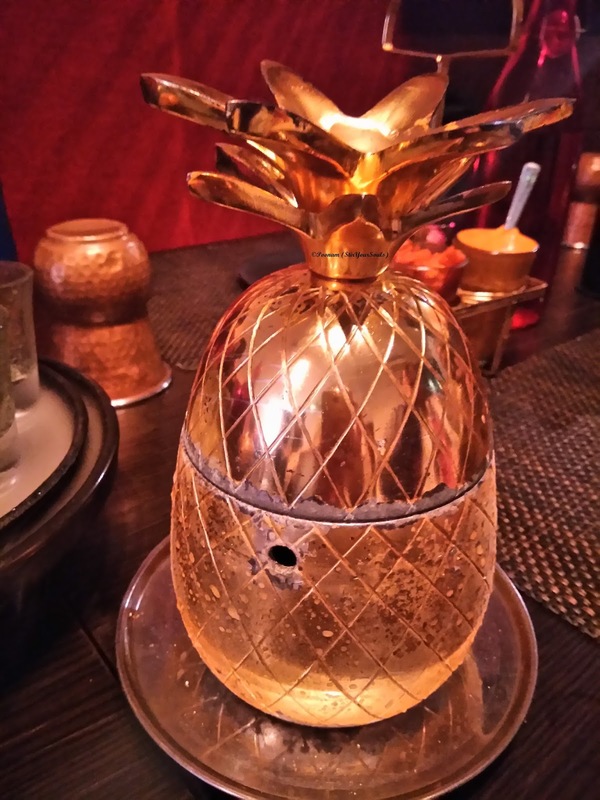 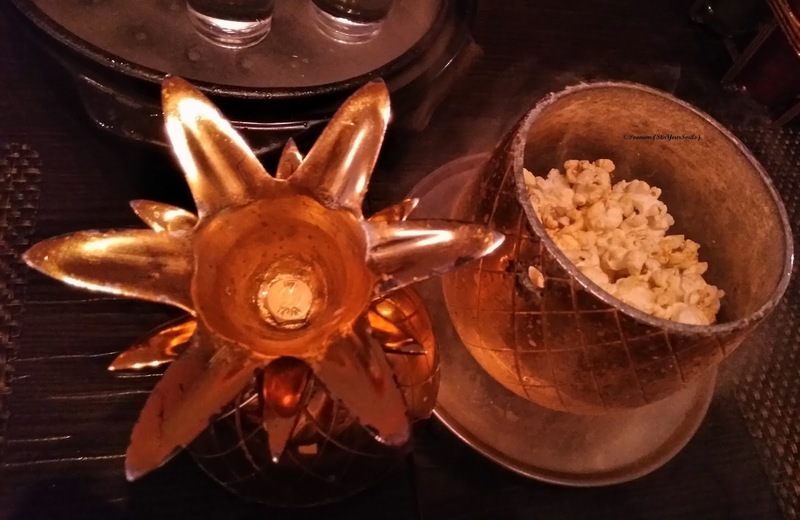 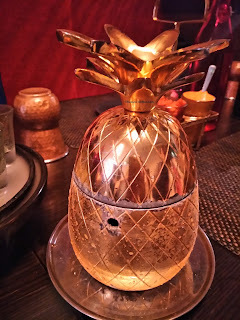 To begin with, we had Masala Nitro Popcorn served in a freezing cold copper pineapple. 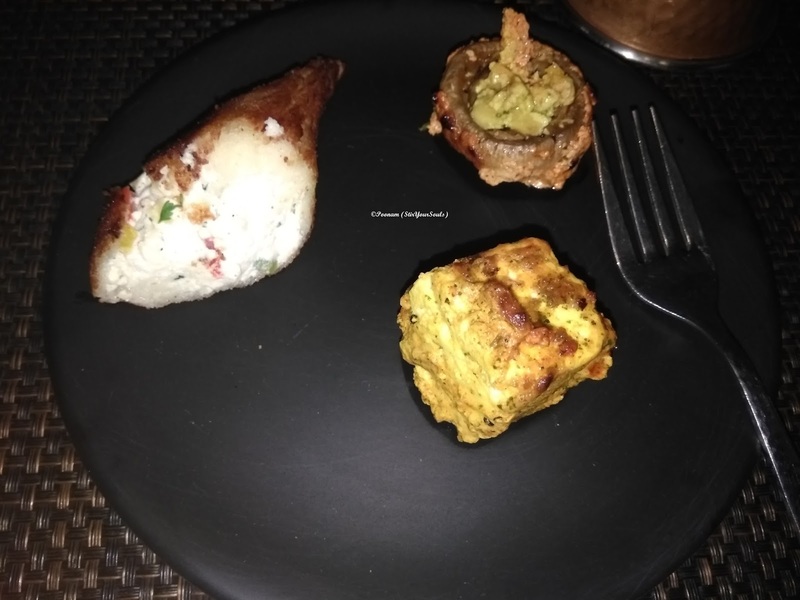 Here's what all presented at the Luncheon. 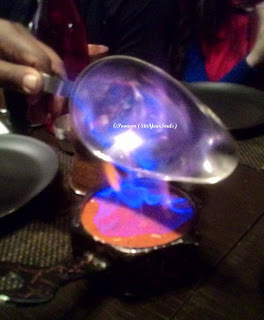 Dahi Ke Sholey was served as an authentic platter with a miniature Hawkins Cooker that fumed nitrogen. 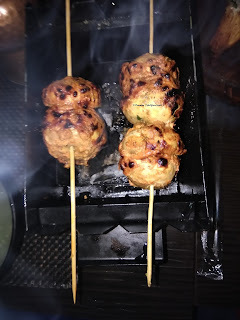 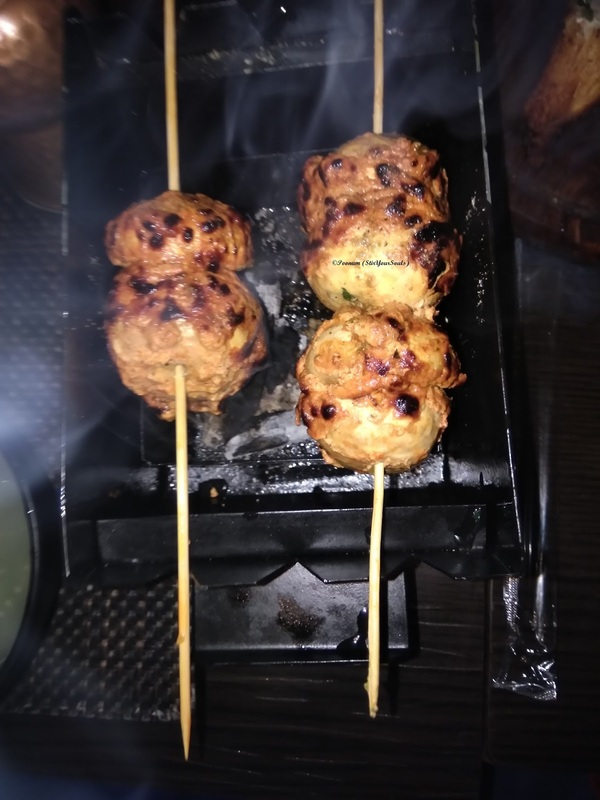 Skewer Ke Bachchon were essentially char-grilled button mushrooms which were presented on skewers. 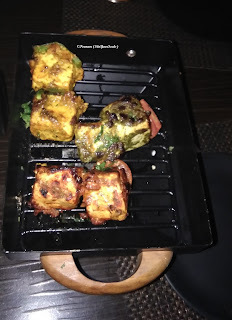 Paneer Tikka Trio or "Three Ways" was all about cottage cheese chunks prepared in three varying subtleties. 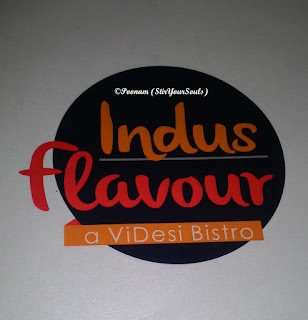 Litchi Tikka has to be the master stroke served at Indus Flavor hands-down. They deserve all the accolades for incorporating Litchi into a dish. 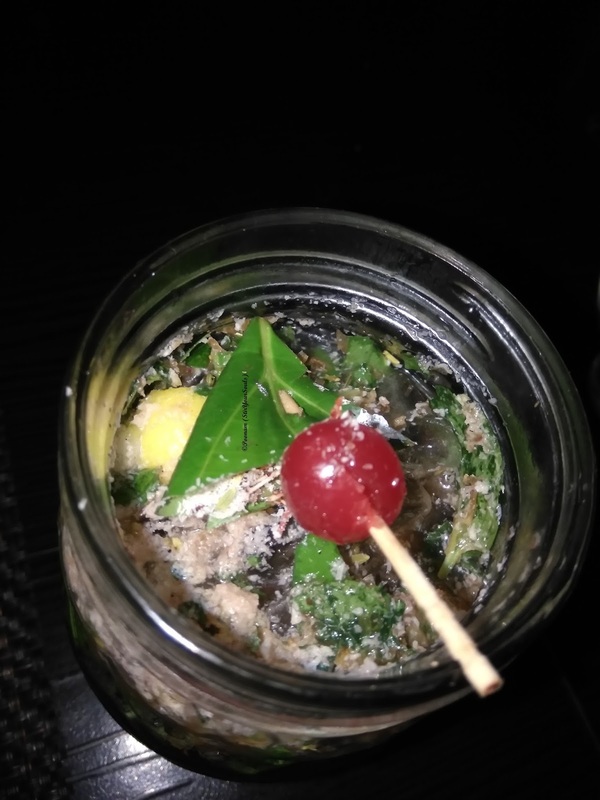 Paan Mojito was a pleasant overload of Gulkand, and I say pleasant overload because Paan is a favorite. 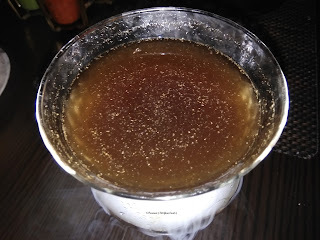 Imli Martini was served atop a fuming tumbler of liquid nitrogen and had the classic tamarind tang. 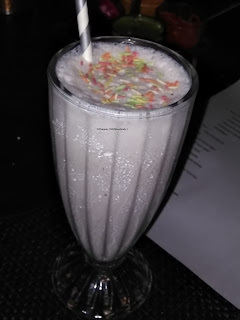 White Chocolate Raspberry Shake was an aesthetic delight with sprinkles and a choco stick, quite a thick and flavorful one on the palate. 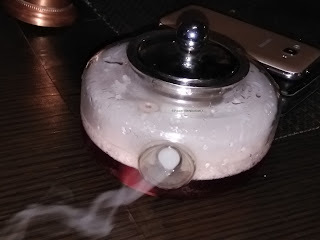 Cranberry Cinnamon Iced Tea was presented in a glass tumbler, again with fuming liquid nitrogen. 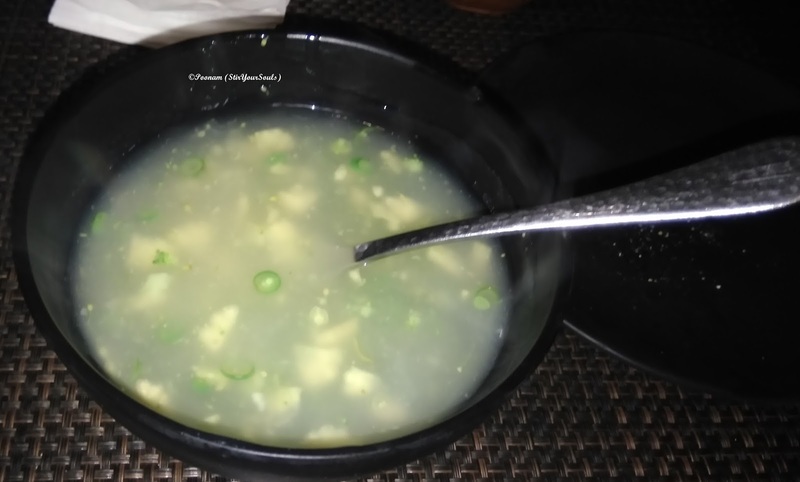 Sweet Corn was humble in its presentation and delicious to taste. 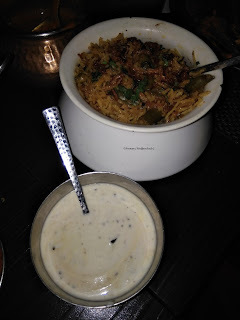 Subz Dum Biryani served with accompanying Raita, was all about finely prepared long-grain rice. 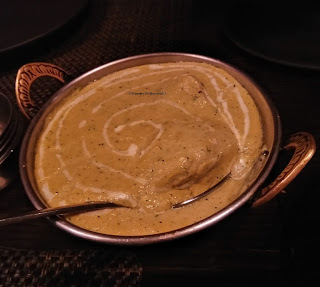 Peanut Butter Paneer Masala was a silken gravy with melt-in-mouth cottage cheese chunks. 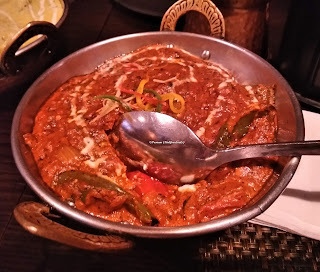 Peshawari Paneer Tikka Masala stood true to its name with Mirch Masala, a bit high on the spice quotient, though it was prepared well. Malai Kofta Masala was a star dish, because soft Kofta was stuffed with pomegranate on the inside, which was a pleasant surprise on the palate. 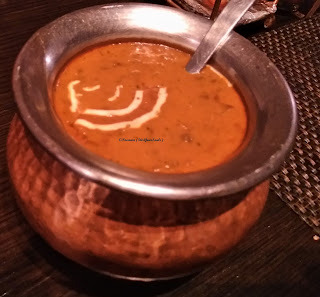 Dal Makhni or commoner's Dal Makhni as I would call it had a creamy texture and was quite flavorful. 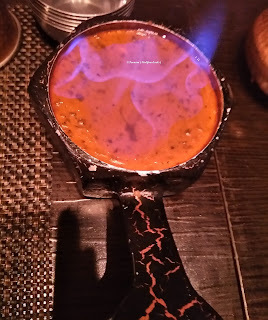 Jack Daniel's Dal Makhni was commoner's Dal Makhni flambéd with Jack Daniel's. 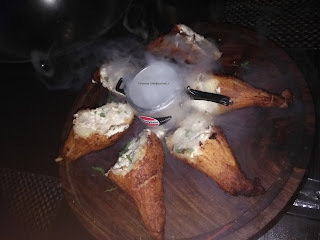 The presentation thus, was quite stellar. 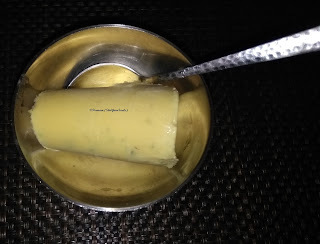 Kuremal Ki Kesar Kulfi reminded me of the humble Teela Kulfi that had a pinch of salt added to it to.